Going back to the DMV to take the test again would be pretty embarrassing after an incident like this. A 46-year-old woman in Waterbury, Connecticut, likely failed her driver’s test in spectacular fashion by accidentally backing her Toyota Prius through a window at the DMV. She allegedly got the accelerator and brake confused and sped into the building. The DMV’s camera got a fantastic view of the accident (see above). Despite the building being busy at the time, only two people were injured in the crash, and one of them with cuts from broken glass had to go to the hospital to be checked out. Neither the driver nor the person giving the test were hurt. The DMV remained open, too, according to Connecticut’sWTNH News 8. A parking sign and some plants outside the building were run over, though. The driver received a citation for the accident from police. It’s also hard to imagine any way that she passed her test after such a dramatic accident. At least, the Prius didn’t appear too badly damaged. The incident was similar to a recent crash in Buffalo, Minnesota, when a 17-year-old woman taking her driving test rammed into the front of the DMV (image above). The instructor in the passenger seat had to go to the hospital for minor injuries, but no one else was harmed. Police said that the accident happened when the young woman put the vehicle into drive instead of reverse, She must have panicked because going through a brick wall would likely require reaching a decent speed. 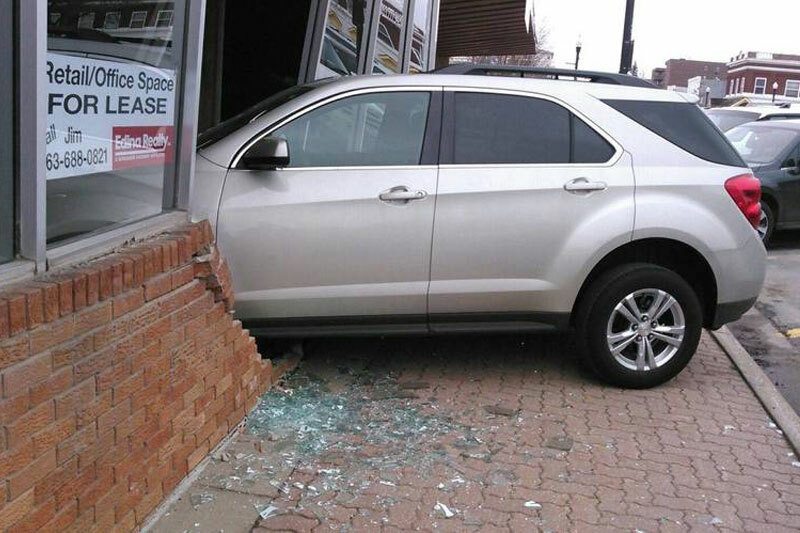 Police didn’t issue the driver a citation, but her parents probably weren’t happy about having their vehicle slammed through a building.